At The Hope Center for Cancer Care, we provide our patients with the most advanced and complete care available to fight cancer and blood disorders. Because we use the latest in cancer treatments and technologies, such as cutting-edge diagnostic imaging and sophisticated infusional chemotherapies, we are able to provide our patients with optimal care during their cancer treatment journeys. Our certified physicians offer the following specialities: medical oncology, hematology and radiation oncology. 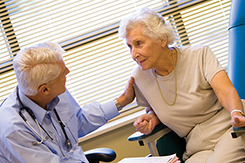 Working together, our doctors create a custom treatment plan for each patient. Treatment typically includes a combination of therapies such as chemotherapy, biological (targeted) therapy, hormonal therapy, radiation, and immunotherapy. 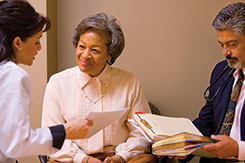 In addition to cancer treatments, we offer financial counseling, routine laboratory tests, online resources to help you navigate through your journey, and genetic testing for patients curious about their cancer risk. We can also connect you with oncology social workers and cancer support groups so that you never feel alone. With two convenient locations serving the greater Warren-Youngstown metropolitan area, you’ll receive the most comprehensive care available, close to home. Living with cancer or a blood disorder can be challenging, but you don’t have to do it alone. We understand that every patient is different. We give you more options. We give you more HOPE.